Polymerupdate- News & Prices of Polymers and Petrochemicals for Indian and International markets. Buying & Selling of Polymers, Masterbatch and Compounds Made Simple. It’s time to go beyond conventional ways of trading! Embrace Polymer Exchange to Join Thousands of Delighted Clients! Latest technologies like Maps, Geo-Location tagging, Badge and Push Notifications. 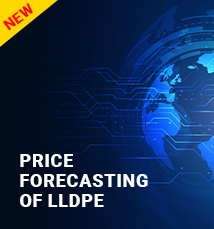 'The Precious Polymer Price Forecasting Tool' – is a brand new venture by Polymerupdate. It is a vital and essential tool for each and every individual, involved in buying and selling of polymers. Polymerupdate's price forecasting tool, is an algorithm, carefully designed by our team of in-house mathematicians, headed by data scientist and double gold medalist, Ms. Swati Kumari. Swati and her team, with the use of Machine learning and Artificial Intelligence have created a unique tool which will help in making your business critical decisions, more meaningful and profitable. Polymerupdate is one of the fastest growing market intelligence companies in the world. Polymerupdate is a world renowned provider of business critical industry news and real time price alerts. Some of the products tracked daily include Crude Oil, Naphtha, Aromatics, Olefins, Polyolefins and Petrochemical Intermediates for the global markets with a special focus on Asia, India, The Middle East, Europe, US, Latin America and Africa.